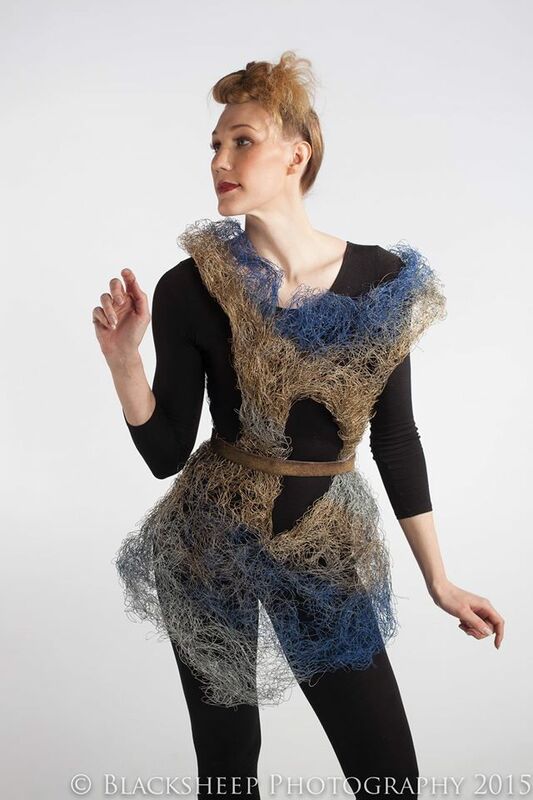 This garment was shown at Omaha Fashion Week, March 2015 and is constructed from army surplus land mine wire. I create a sort of “wire felt” by entangling the wire and creating a fabric similar in appearance, though not in feel, to felted wool. 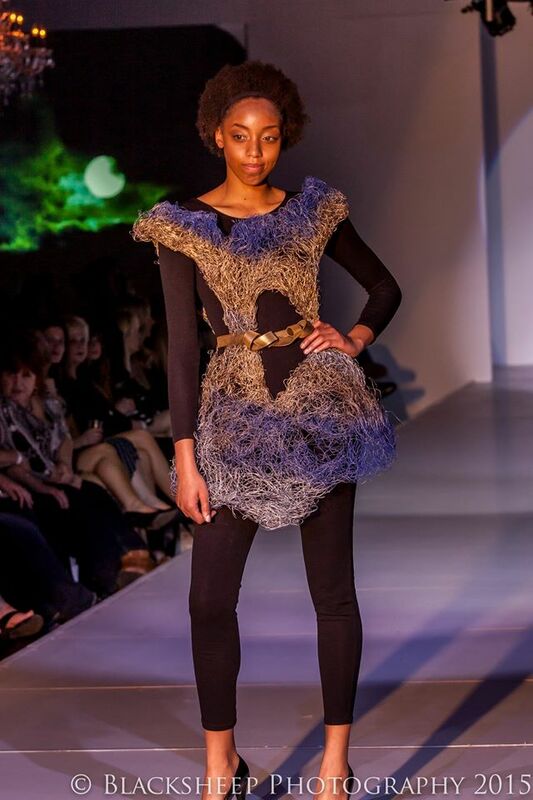 Modeled in the studio by Andrea Milne Vertz and Cyndnee Josenberger on the runway.